Washington Park and University of Denver apartment building sales. 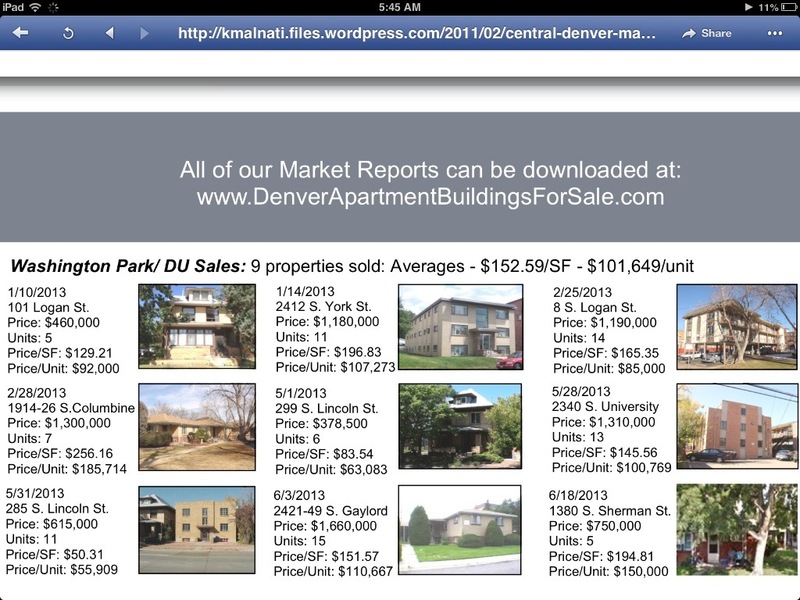 Denver Apartment Buildings For Sale website published its 3rd Quarter newsletter for 2013. The purpose of this newsletter is to provide insight on the direction of the Central Denver apartment sales market, and to recap the transactions that occurred in the 1st and 2nd Quarter of 2013.